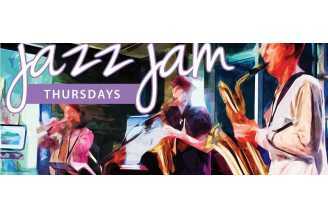 JAZZ JAM is open to both players and listeners of all ages. Showcasing local talent in the South Atrium, your host Craig Thomson or Stephen Buck coordinates drum, bass, and keys. If you’re an artist, a performer or simply interested in arts and entertainment, come by, have some fun and the chance to meet people in an approachable and relaxed environment.